Budget Airlift 40 crore and it was known from the very beginning! Akshay did not take a salary for the work of the actor, he was with the producer! Hollywood has crashed and torn apart bollywood the 1st half of the year. you should teach them except 3 ohan how to act in film properly ,then we burmese will watch hindi movie .if there is no khan in films industry , no body will know india exist in this globe and no one will know your indian language . Thank to that 3 khan . ALL these movies r awesome …..
Koimoi, your roi is defective. Because you calculate it on net collection in India. But from net collecction,exhibitors take around 50 percent. Rather distributor share might be a good indicator to determine roi. Rustom is fantastic movie,akki is the best….! Is Akshay Kumar is the only actor to deliver 3 Consecutive 100 crore movie in year or there are some? profit : 216 cr…….write on wikipedia…. BUT AKSHAY KUMAR KO EK JANAM AUR LENA PAREGA TINO KHAN KA, LAST 25 YEARS KA BOX OFFICE COLLECTION RECORD TORNE KE LIYE, PK WORDLWIDE COLLECTION = 792 CRORE, BAJRANGI BHAIJAN =626 CRORE, CHENNAI EXPRESS = 427 CRORE IN 2013, AND AKSHAY KUMAR’S 2016 RELEASE AIRLIFT = 129 CRORE, RUSTOM = 127 CRORE, TO AKSHAY KUMAR SE PUCHO AGLA JANAM KAB LE RHA H ??????????????? DO YOU THINK GUYS THAT AKSHAY KUMAR CAN RUN HIS ANY MOVIE LIKE DDLJ MORE THAN 20 YEARS REGULARLY??????????? ISS JANAM ME POSSIBLE HAI AKSHAY KUMAR KE LIYE ???????????? KYA YAAR TUM LOGO NE SOCH LIYA HAI KI FANETIC PEDA HUVE, FANETIC JAYENGE AUR FANETIC HI MERJAYENGE EK DIN, BAHAR NIKLO YAAR ISS FANETICISM SOCH / LIFE SE, JO REAL, ACTUAL, NATURAL HAI USSI KO SAHI KEHNE KI ADAT DALO………………. Such amazing movies released this year. I have seen all. And I would say my personal opinion is that content wise the movies which stood out were KAPOOR AND SONS, PHOBIA, RUSTOM, NEERJA, PINK. FITOOR could have been a great film with a better starcast since Tabu was brilliant in it. Billy wood films lack innovation and creativity nowadays. And I really miss seeing Bollywood talent queen RANI MUKHERJEE in films. She left behind unforgettable memories with BLACK, MARDAANI, SAATHIYAA, NOKJ, etc. She has aged and gotten married and has baby Adira now but I bet whenever she will return on screen her magic will return. No One Can beat Khans of Bollywood. Aamir, Shahrukh, Amitabh, Salman, Anil, Govinda, Nana, Ajay, Sanjay, Sunny Akshay, Hrithick, Ranbir, Nawazudin. 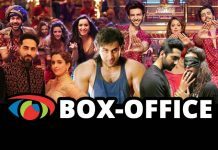 10 Highest grossing movies all time ..
Oye HERALAL YADAV tu jo bolraha hai mera AKKI one year mai back to back 3 movie 100, Crore kiya hai aur kya bola tune kohi bhi khan ki aukat nahi hai…. Sun mujhe toh lagta hai is duniya ka tu subse bada Bewakoof hai…. 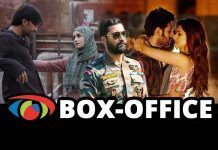 Tera akki jo one year mai 3 movie dene k baat bhi box office mai jo kamai deta hai……. Bollywood ka kohi bhi ek KHAN MATLAB samajh Jao AAMIR KHAN woh toh one year mai sirf one hee movie dekar jitna box office ko kamai deta hai….. Utna kamai toh tera akki 3 movie kar k bhi nahi desakta hai…..
Sunna Bhai HERALAL YADAV apki baar aisa galti mat karna warna log tujhe INTERNATIONAL MENTAL samjhega…. Ok CHUTTIYA HERALAL YADAV ?? ?